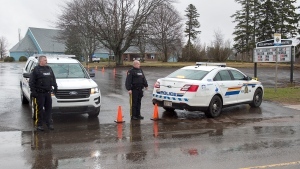 More than two weeks after the release of a report on the practice of street checks in Nova Scotia, there is a growing push for the province to take action. A group of African Nova Scotian leaders walked out of the meeting, after delivering an open letter to Minister Furey calling for the immediate ban of street checks. “I think that the only thing on this issue that would satisfy us is for the minister to say, ‘we’re going to ban street checks’,” said Robert Wright, a social worker and member of the African Nova Scotian Decade for People of African Descent Coalition. The group briefly addressed justice officials before leaving the meeting, which Furey did not attend. On March 27, an independent report found African Nova Scotians in the Halifax area were more than five times more likely to be stopped by police. The report, by University of Toronto criminology professor Scot Wortley and commissioned by the Nova Scotia Human Rights Commission, said those street checks have had a "disproportionate and negative" impact on the black community, and recommended banning or strictly regulating the practice of street checks. Justice Minister Furey said he would take action and make an announcement this week about how the province would proceed. On Thursday, he backtracked, saying he needed more time before making that announcement. “We have an opportunity here to address street checks finally, after too many years of inattention. I just want to make sure we get it right,” explained Furey. Opposition leaders say Nova Scotia’s government needs to act now. The Wortley report examined 12 years of data from Halifax Regional Police and the RCMP, and found that although African Nova Scotians make up only 3.6 per cent of the population, they were subjected to 19.2 per cent of street checks. Wright believes until Furey makes up his mind, street checks should be completely banned. “I think that would demonstrate the kind of leadership and the kind of resolve that would bring us to the table, in a way that would give us confidence that we’d be able to work with this government to address not just street check issues, but other criminal justice issues that are faced by African Nova Scotians,” says Wright. Minister Furey now says he plans to use the weekend to continue reviewing material and speaking with the African Nova Scotian community on the issue. He hopes to have a decision on how the province will proceed on the issue of street checks by next week.